Cost to have roofing shingles installed varies greatly by region (and even by zip code). Get free estimates from roofers in your city. Cost to have roofing shingles installed varies greatly by region (and even by zip code). How much does it cost to have roofing shingles installed? 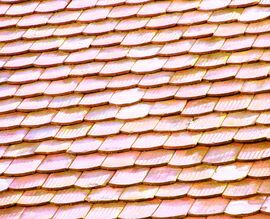 There are a few kinds of roofing shingles readily available. The most common are the asphalt types that cost around $80 to $100 per square. A square covers approximately one hundred square feet. 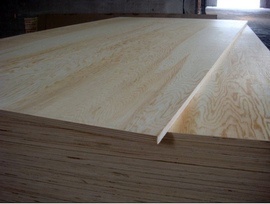 There are also wood shingles or "shakes" (which are the types cut by hand instead of machine), and BuildDirect.com places the average cost of a square of cedar shingles at $160. There are also tile shingles and metal versions too. For the purpose of this discussion we will explore the costs and materials needed for two types of roofing shingles 1 projects - the asphalt 2 type and the wooden shingle 1 variety. 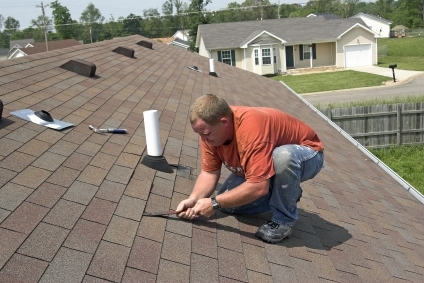 First we will illustrate the type of property on which the shingles 1 will be installed. This will be the "average" home which offers 2200 square feet distributed across two stores. The footprint 3 of this home is around 24'x45', and the roof is a very simple design without a lot of valleys or angles. If the roof has a moderate pitch of 6/12 (meaning that the roof rises six inches every 12" it runs), we can assume that the roof will take up approximately 1300 to 1500 square feet. The asphalt 2 types: regardless of whether the homeowner is opting to run a whole new course of shingles 1 over a pre-existing one (which is allowed in many areas) or installing a new roof altogether, they are going to require around 13 to 15 squares of shingles 1. This means a total cost of $1500. There is also the need for roofing felt at $18 per roll, for a total of $90. Attaching all of the materials requires a roofing nail gun using a standard roll of 1 1/4" galvanized nails at $65 each, and roofing cement which is costs approximately $22 per gallon. 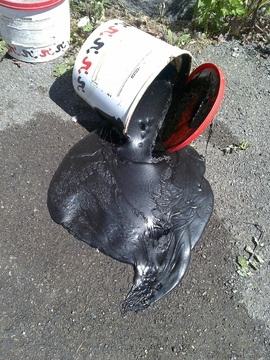 Roof sealant: applying sealant is a great option for preventing future leaks. This typically costs $850-$1000 for a standard roof. Underlayment 5 is a waterproofing membrane always recommended to prevent the ingress of moisture and other elements. It also provides weather-proofing until the roof is installed. It is required depending on the type of roofing material and slope. Check local codes for requirements. Time: the major factor that most homeowners consider is the cost of the project. Thought the asphalt 2 shingles 1 are both inexpensive and easy to install, the wooden shingles 1 usually offer a significantly longer life span (averaging between 30 and 50 years). Additionally, they are far more environmentally friendly and provide a level of insulation that asphalt 2 options cannot. How much does it cost to have roofing shingles installed in my city? Cost to have roofing shingles installed varies greatly by region (and even by zip code). To get free estimates from local contractors, please indicate yours.